FormIt has awesome fans and customers - we've pointed the spotlight at a few of them in the past - and for #FormItFriday it's Jarod's turn! Jarod takes the powerful FormIt modeling tools and applys them to the tricky, workflows designers face daily. You'll have the chance to learn from Jarod IN PERSON at RTCNA 2016 as he's a guest speaker at the first ever FormIt Workshop. A common workflow question, "How do I make walls from my Mass?". Jarod has explored a few ways that I'd like to share. 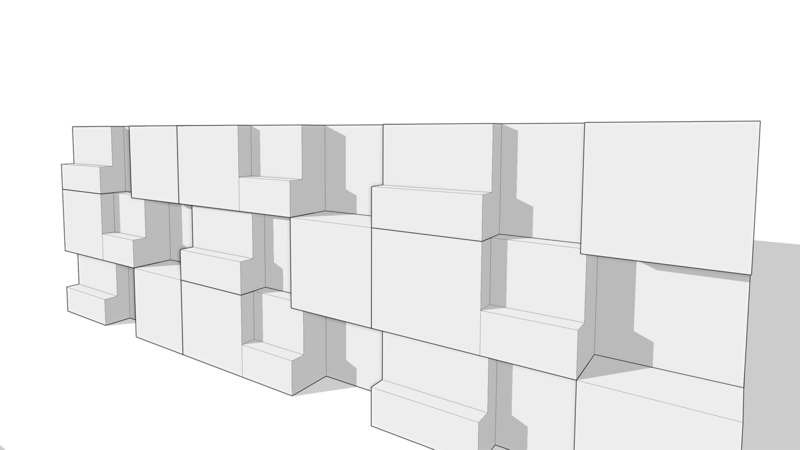 The other flexible way to make walls (and punched openings in walls) - is with the Offset Face tool, Jarod posted a nice video explaining this. Jarod has gone beyond basic copy, paste techniques and explored the 'copy multiple + group' tool known as Array. Jarod uses Array to make a simple stair with grouped treads - so updating one updates all. The next example video shows Jarod flexing the Array tool to panelize a facade of his mass building for Curtain Wall explorations. Finally, Jarod appeared on our #FormItFriday webinar in the past, recapping his RTCNA '15 class. Jarod was cool enough to share his class PDF. He covered a TON of great content (like the sweep, and loft tools). One of the best bits is where he starts to iterate between FormIt and Revit. Jarod has extensive experience in using business for business (B4B) for specific outcomes to the architectural-engineering-construction (AEC) industry. He is skilled at delivering creative solutions to address challenging issues, and this experience enables him to provide invaluable insight and direction to clients, technical staff, and sales. He has mentored, implemented, and developed building information modeling (BIM) and AutoCAD based service and software solutions for hundreds of clients and has become a trusted and respected advisor in the AEC community. Jarod is currently the Design Technology Director at initial.aec and oversees the consulting, training, support, and software operations to identify and develop new opportunities and programs.